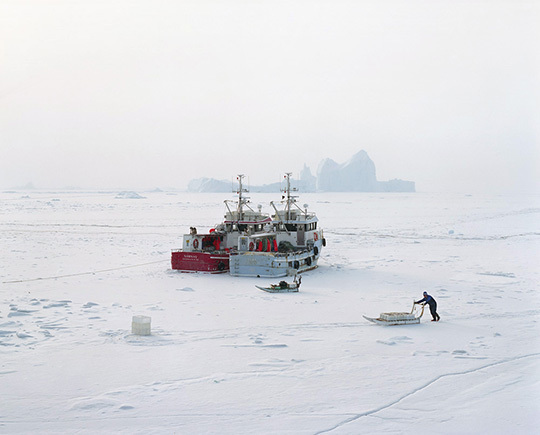 At the top of the North hemisphere, Greenland et the life of its inhabitants have fascinated me since my childhood. 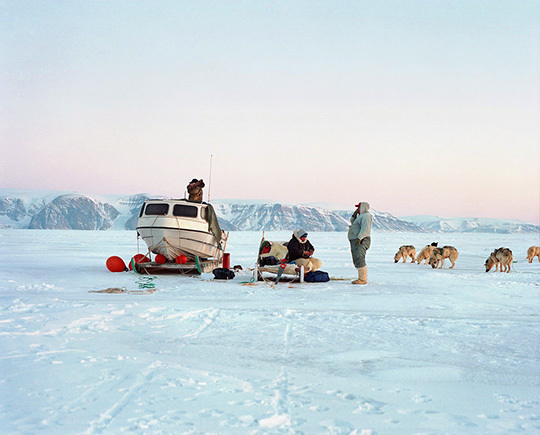 Greenland is, undeniably, suffering the effects of climate change and over the last few decades, its society has undergone profound evolution. 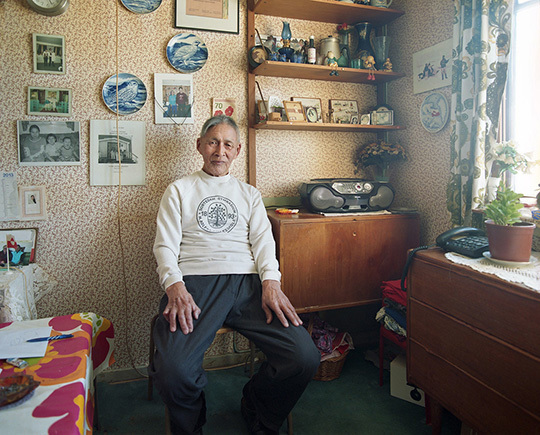 Inuit culture now goes side-by-side with Western lifestyles and modes of consumption. 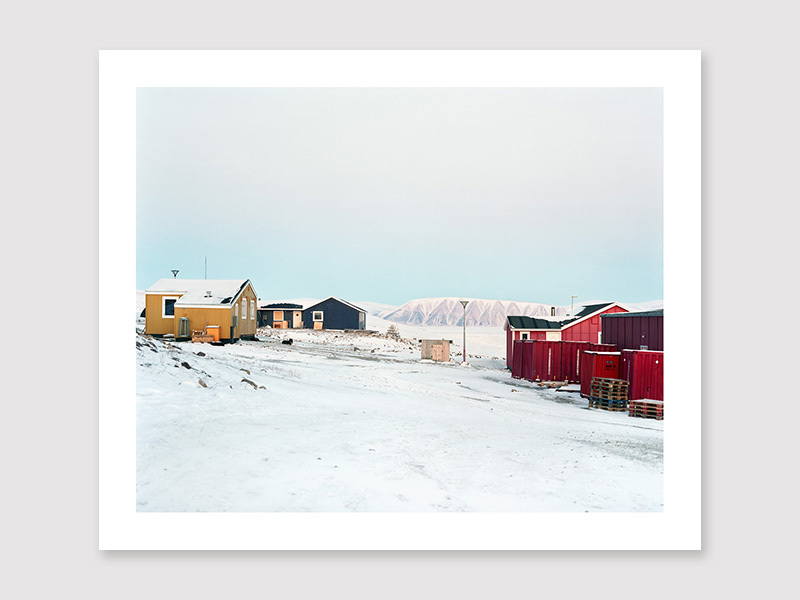 I traveled to Greenland in 2013, staying with the local inhabitants of the towns and the northernmost dwellings I encountered, with the aim of recording these changes. I have prepared this journey for more than a year, tricked my cameras to resist the cold, and learnt the basis of its langage Kalaallissut. I was expecting this stay to be filled with isolation - it was the exact opposite: I have met extremely welcoming people and had fascinating discussions about their society. I did not have the intention to produce a factual, documentary-style book. 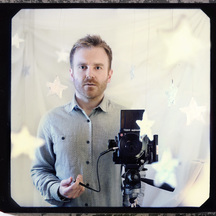 In contrary I wanted to preserve a certain approach of framing that fits the medium-format film camera that I use. 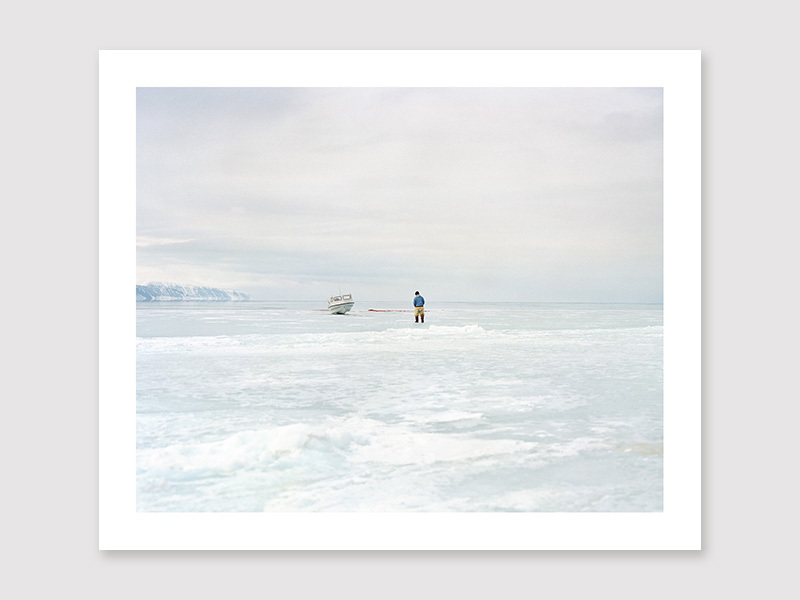 My photographic approach was more focused on the atmosphere and my sensibility, while trying to capture the change that the country undergoes along the series. This work most certainly has a large part of subjectivity. It is the fruit of this work that I present in this book, and I hope that you will be touched as much as this country touched me. 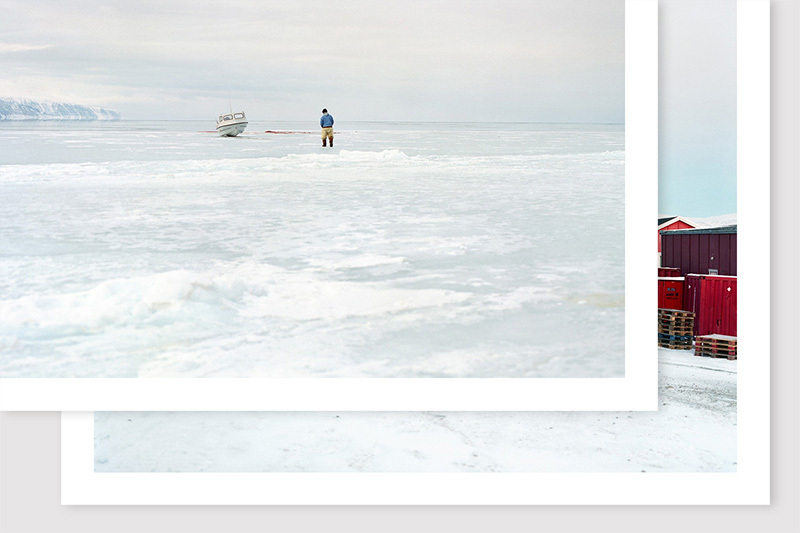 A photography book is very expensive to produce. I already managed to get part of the final budget (about half of it). It will still take 3500 € so that the book can exist. The funds from KissKissBankBank will make it possible. I already have the almost-finished structure and content, as well as a few prototypes. 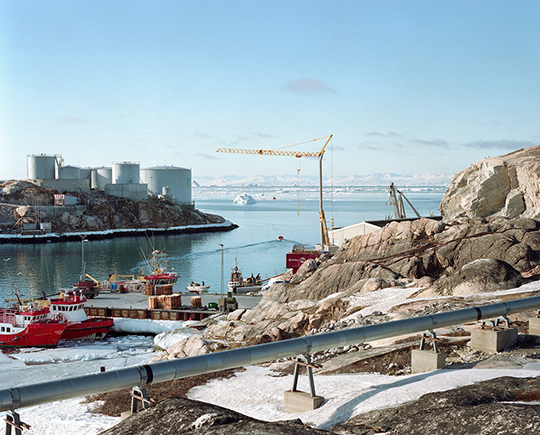 Translations in English and Greenlandic are on-going. 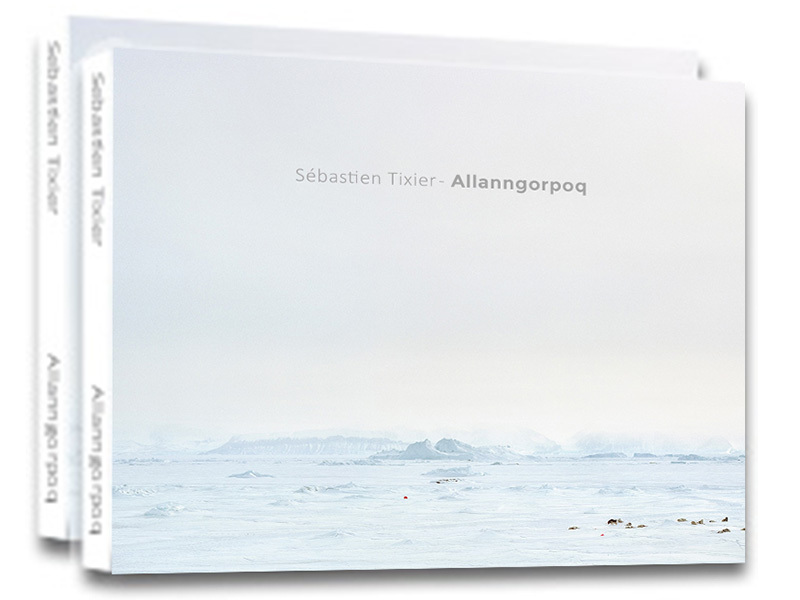 This book will be self-published, and the planning of the printer (with solid reputation for the quality of his work and experience in the field of photo books) is also already on-going. 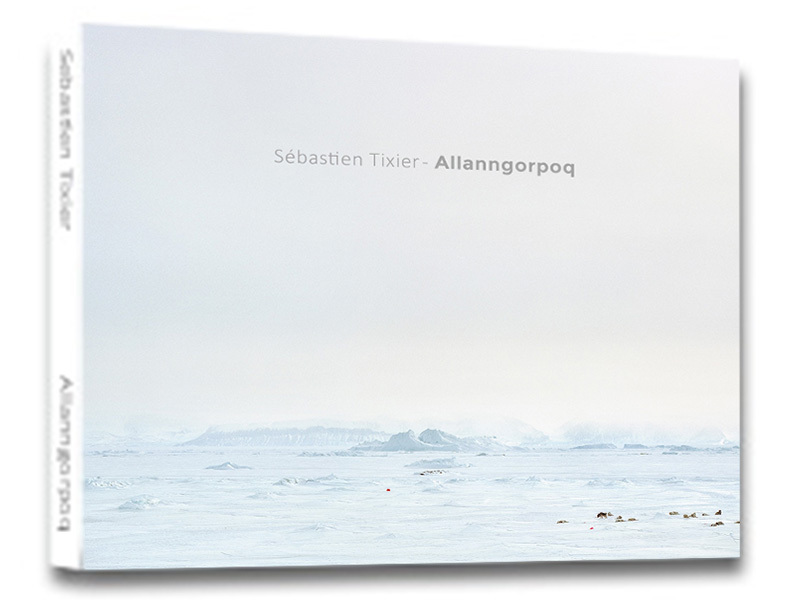 Release date: Your help to this project will make it possible for me to start the production, and let Allanngorpoq come to life in December 2014. 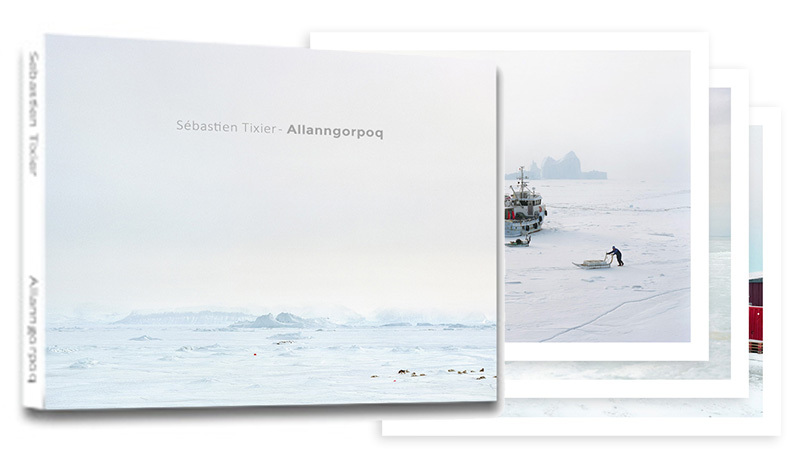 Dimensions: 23 x 28.5 cm, 132 pages printed on Arctic Volume paper, 60 photographs, hard cover. 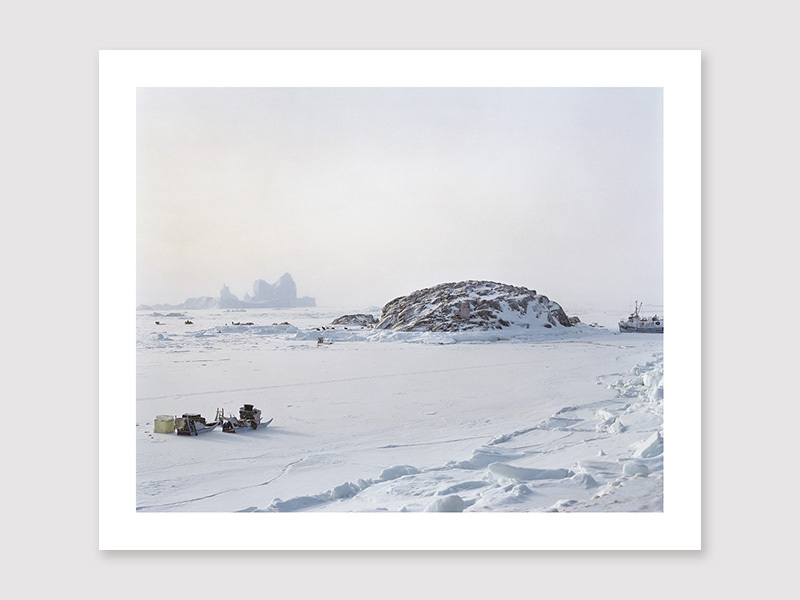 This work will be exhibited during the Pluie d'Images photo festival taking place in Brest, France from January 17 to February 27 2015. Thank you SO MUCH everyone for your support! This is your help that makes this project possible. The budget being very exposed, the bigger the funds, the better the printing process can be! ** UPDATE: THANKS ! 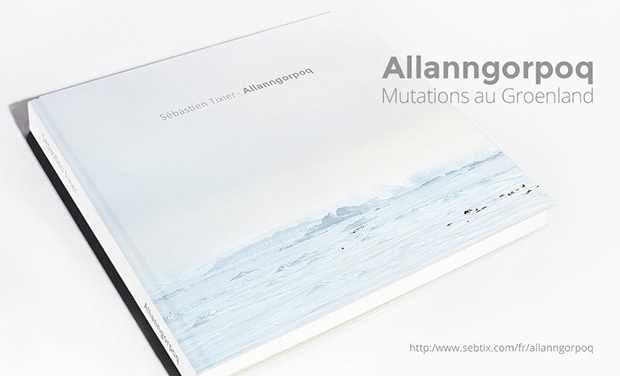 My projet "Allanngorpoq" completed in just 10 days on kisskissbankbank. Thanks to everyone for your participation and the shares you had: securing 50% of the total production budget of the book was mandatory for the project to come to life, and this has just been made possible today! Of course it's still possible to pre-order for the next 30 days, and maybe try to secure the complete total budget. Thanks again a thousand times. I am so pleased that this project can turn out real. It means a lot to me, and this is thanks to you.